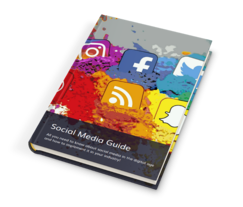 The Social Media Guide will provided you with everything you need to know about social media in the digital age and how to implement it in your industry! Your integrated marketing strategy won’t be complete without a strong social media presence. Take your marketing to the next level with Penquin’s Social Media Guide! Download the Social media Guide by completing this form!